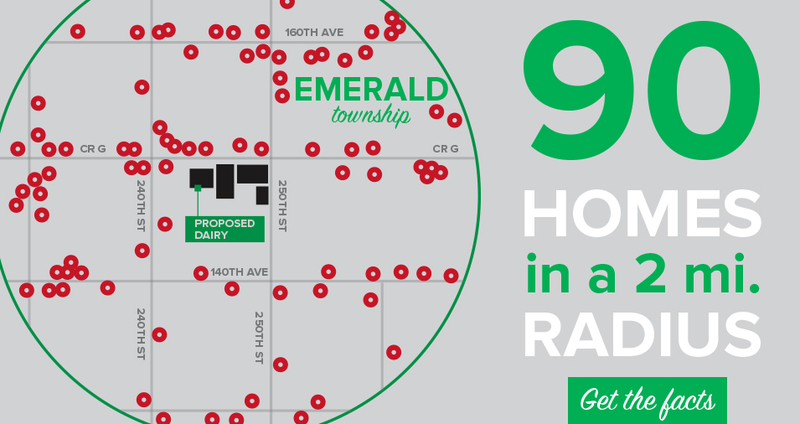 We decided to fight the expansion of the Emerald Sky Dairy because our community does not need a toxic disaster in our back yard. On September 17, 19, and October 1, 2014, the U.S. Food and Drug Administration (FDA) conducted an investigation of the dairy operation at Emerald Dairy II, LLC, located at 1450 250th Street, Emerald, Wisconsin. Notification was sent out in regards to the violations of the Federal Food, Drug, and Cosmetic Act (the FD&C Act) that we found during our investigation of your operation. They found that the operation run by John Vriese offered for sale an animal for slaughter as food that was adulterated. Under section 402(a)(2)(C)(ii) of the FD&C Act, 21 U.S.C. § 342(a)(2)(C)(ii), a food is deemed to be adulterated if it bears or contains a new animal drug that is unsafe under section 512 of the FD&C Act, 21 U.S.C. § 360b. Further, under section 402(a)(4) of the FD&C Act, 21 U.S.C. § 342(a)(4), a food is deemed to be adulterated if it has been held under insanitary conditions whereby it may have been rendered injurious to health. Specifically, their investigation revealed that on or about June 3, 2014, former owner John Vriese sold a dairy cow identified with back tag #(b)(4), corresponding to his farm tag #(b)(4), for slaughter as food. On or about June 3, 2014, (b)(4), slaughtered this animal. United States Department of Agriculture, Food Safety and Inspection Service (USDA/FSIS) analysis of edible tissue from that cow identified the presence of 0.653 parts per million (ppm) of residues of penicillin in kidney tissue, and 0.199 ppm of residues of flunixin in liver tissue. "St. Croix County has a Natural Resources Vision...By 2035, St. Croix County has maintained and enhanced its natural resource base. The water quality for drinking and recreation is excellent. The streams, rivers and lakes are clean and vibrant with healthy fish and recreational opportunities....."
This won't be funny when pathogens travel to your water stream. Manure pathogens make it into the ground or get airborne, you don't have to be a rocket scinetisct to figure it out. The new manure pools will be gigantic to accommodate the factory farm facility. There is a reason factory farms are very controversial. 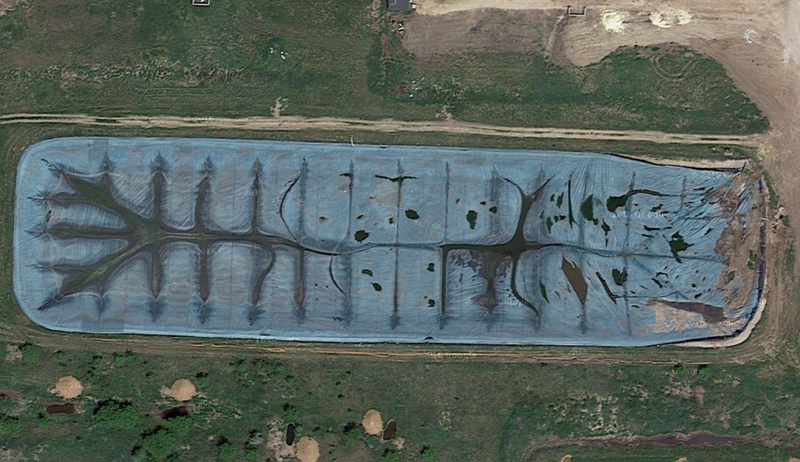 As seen from an aerial view from google maps the manure pools are exposed. 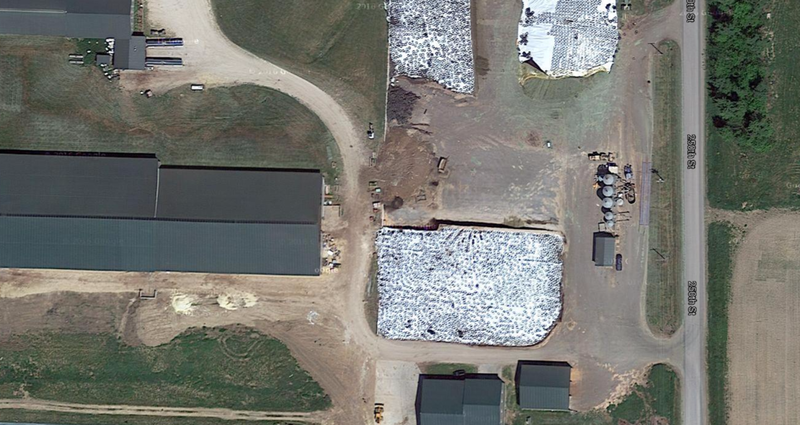 Multiple manure piles covered with plastic and tires while pathogens can leak into the ground. 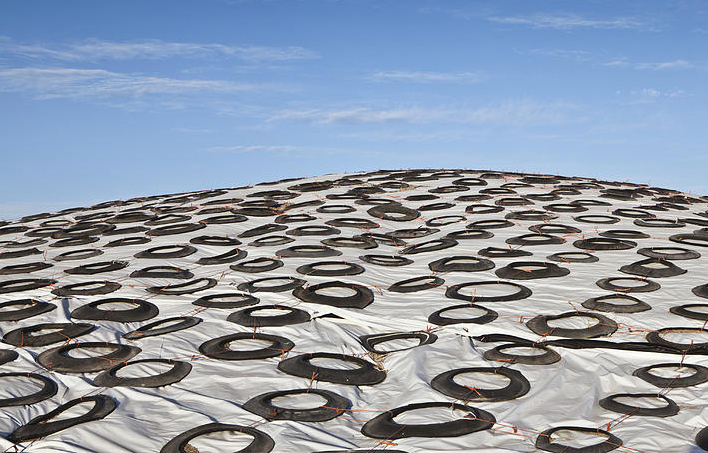 Plastic and tires won't save the day as manure pathogens make it into the ground and as pathogents get airborn. Multiply the farm by 5 times the existing site and disaster will be in our back yard. 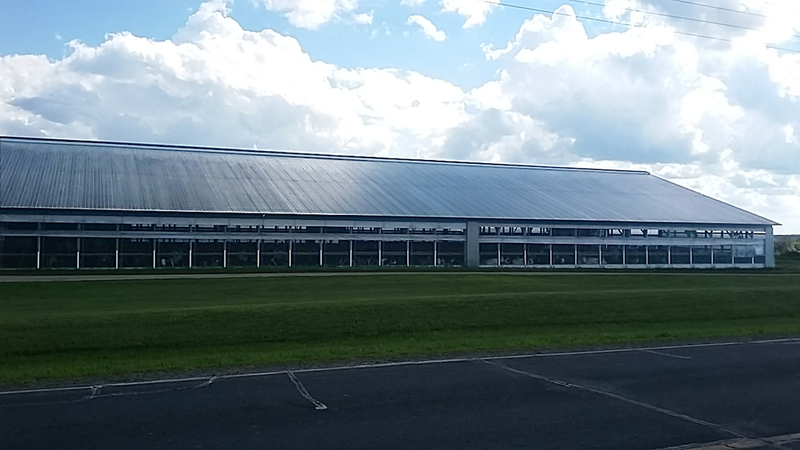 The existing facility will grow at least 5 times it's existing size to accomodate almost 7,000 cows.